Natural gas is a flammable, colorless, hydrocarbon gas mixture consisting primarily of Methane. CNG is shipped in high pressure containers and may be odorized to make it detectable. 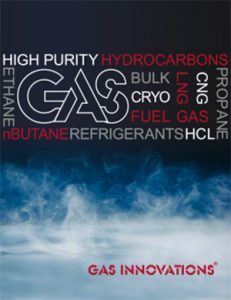 LNG is stored and transported as a cryogenic refrigerated liquid at -259F.